Secure strap.Dear Airport, Please Don't Lose This! 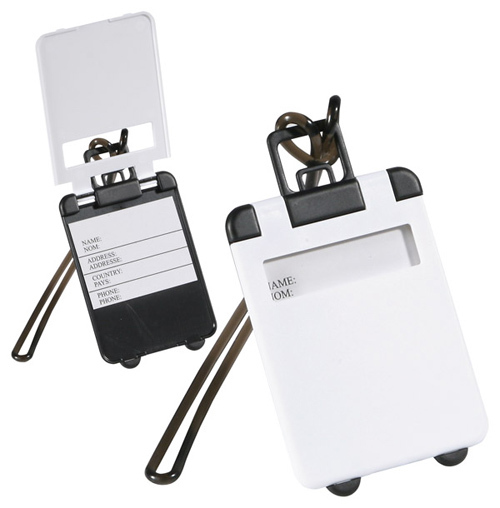 Ultra-thin suitcase-shaped luggage tag with a secure strap. 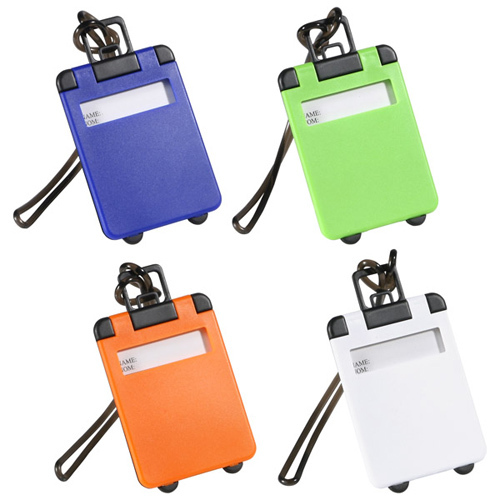 Unique and easy to identify your luggage. Available in Blue, Lime Green, Orange or White. We all know it hard to identify your luggage when it comes off the carousel at the airport. All the black bags look alike. 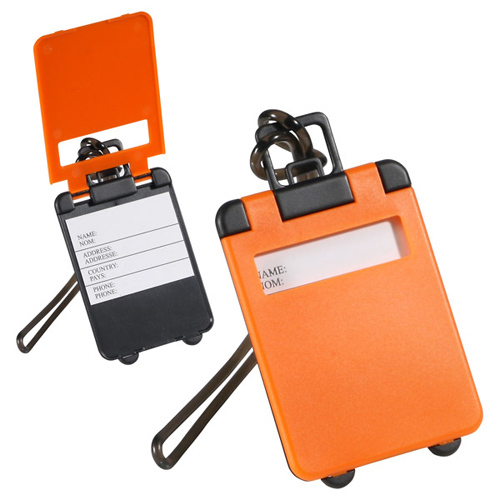 This is why giving the Travel Tote Luggage Tag is a great gift. Put some color on your luggage. 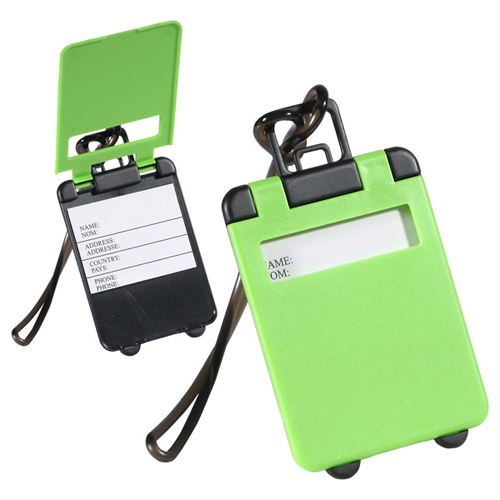 This ultra-thin travel tote luggage tag features a secure strap and is brightly colored so you can easily identify your personal belongings. 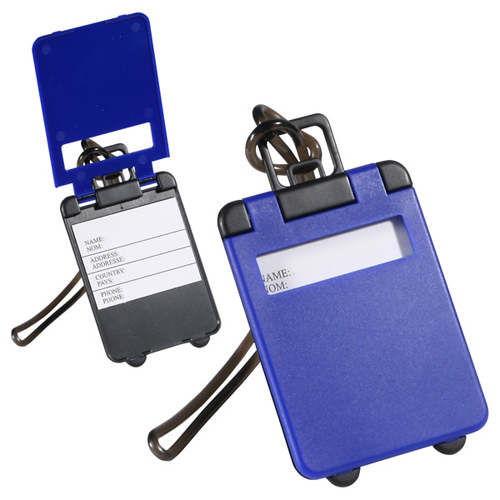 Ideal for conventions and tradeshows or as a gift for your customers, this customizable tag is perfect for your next event. This product has been safety tested and is intended for adults or for general use by consumers of all ages. These products are not intended for kids under 3 and pets. 2-1/8" x 3-9/16" x 1/8"
Bulk / 32 lbs / 1000 pcs. / 24 x 14 x 15box. Imprint Area: 1-3/4" x 1-5/8"
Imprint Area: 1-3/4" x 2-1/4"